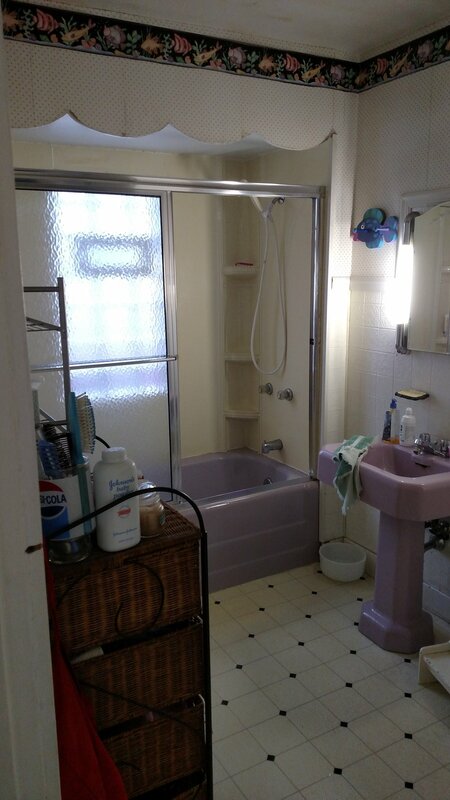 Cathy had a large project that encompassed interior and exterior work. Here you can see the old deck that was removed and the new deck after installation. We also replaced an old retaining wall in the back yard. This family was fed up with their kitchen and wanted to update it with a modern style. Functionality was of primary concern in a small space, so we focused on maximizing cupboard space with front and back access on the bridge of cabinets. Louise needed a new roof on her home, gazebo and shed. We happily accommodated her desire for a more functional backyard landscaping design as well. We put in pre-stained concrete, flagstone, upgraded her privacy fence and greenery. This family joking said to their friends and former ZHR clients if they ever wanted to get rid of their kitchen they'd take it. Well the day came that they indeed wanted to get rid of it. We took the old kitchen and retro-fit it to this existing kitchen. A feat, but workable. Custom cabinets were made out of the different sizes and the end result looks tremendous. 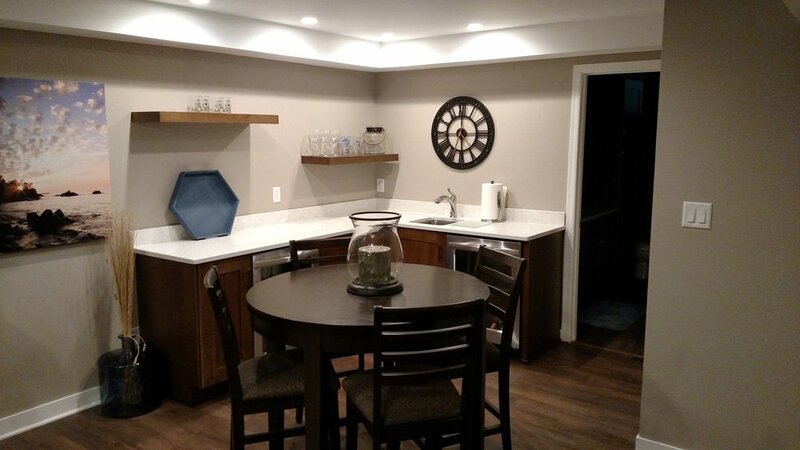 This project encompassed a complete basement remodel. Custom fire place and wet bar, entertaining and seating area and entertainment environment for the family to hosts guests. Taking the previously unoccupied space and transforming it into a modern and cozy place to spend time. A variety of bathroom jobs taking outdated spaces and turning them into family friendly rooms with modern amenities, added space, storage and fixtures.